It's that time again, and I am feeling re-laxed. My Sunday started rather hung over, we were meant to go into town, have a shop and have some food, needless to say I am in my jarmies with a cup of tea and the furthest we ventured was Aldi however the day was brightened as I received a late birthday present from my sister in law which was full of pampering Lush treats ( to be, her name's Daisy and from now on I'll simply refer to her as just that) . A bath was very needed, I couldn't just lye in bed all day and a bath always relaxes me and helps me feel a tad more human. 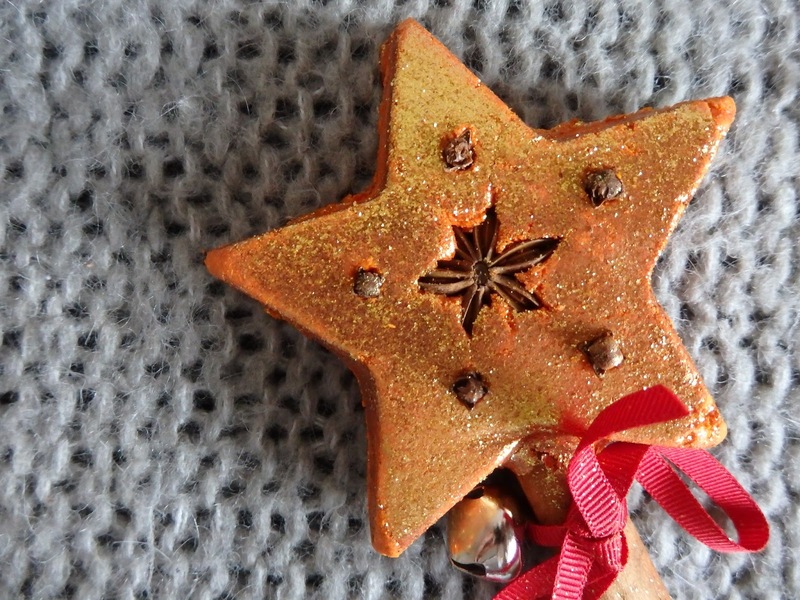 You are seeing here a gorgeous cinnamon star from Lush but I actually used Yognog a new bath bomb for Christmas but I was to hungover and confused to remember to photograph it - and this is way prettier. Yognog is a creamy moisturising bath bomb scented with clove bud oil it was ever so dreamy. Neon though, neon yellow water - not as relaxing. In the bath I used the Lord of Misrule shower cream - oh gawwwd if I could smell of this 24/7 I would, please Lush make this a perfume. 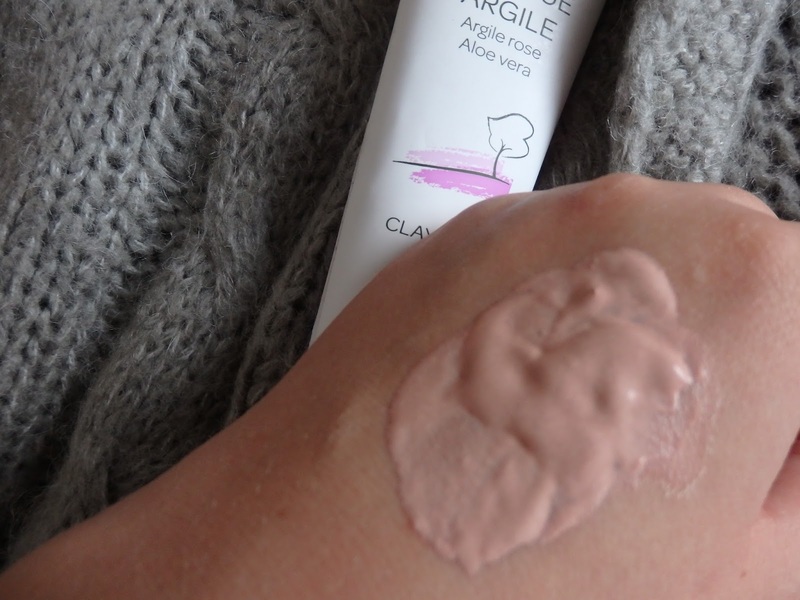 Whilst poaching myself I applied a favourite of mine which is the Cattier Paris pink clay mask with aloe and rose. This masks is a sorter - out - erer. It calms, soothes, cleanses and leaves my skin soft, supple and clean. 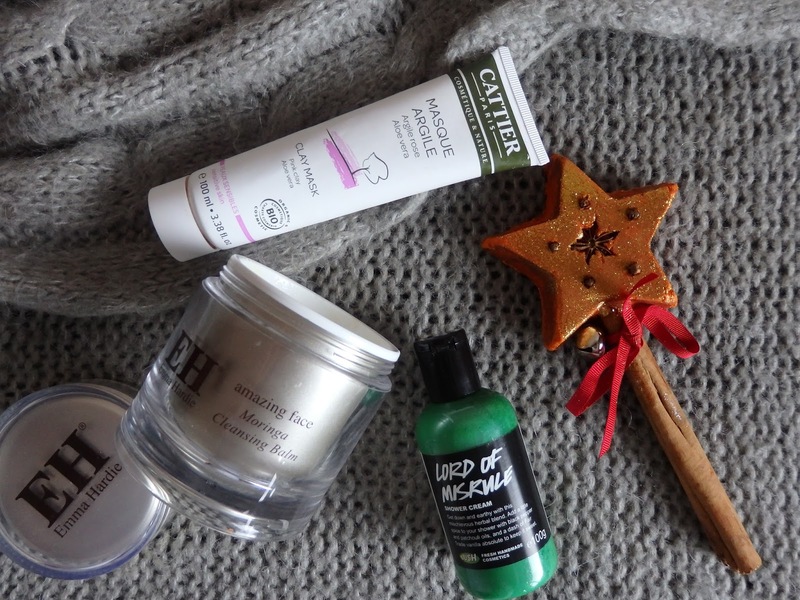 I then slathered on my old friend Emma Hardie Moringa Cleansing Balm. I LOVE this product I use it as a cleanser and a mask whenever I feel my skin (or me) needs a little TLC, it has such a comforting smell it is like wrapping a cashmere blanket around your senses - heavenly. Now time for tea number 50000 and some Kardashian related T.V.